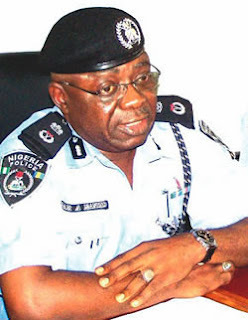 A yet-to-be identified policeman attached to the Alapere Police Division, Ketu, Lagos, on Wednesday allegedly shot and killed a bus conductor for stepping on him. Eyewitnesses said the policeman was standing at Tipper Bus Stop when the conductor stepped on him. The eyewitness said, “The policeman was in mufti. He challenged the man on why he stepped on him and could not apologise. I think the victim maintained that he was not going to apologise to him. Our correspondent learnt that people in the area immediately tried to swoop on the policeman but did not succeed as he threatened to shoot them. According to one of the eyewitnesses, the policeman also threatened to shoot a riot policeman who challenged him for shooting the conductor. “But as he was trying to escape, people around followed him and caught him. People were really angry. When they discovered that he was a policeman, riot developed. The rioters wanted to burn down Ketu Police Division,” a police source said. Policemen soon mobilised to the area to quell the riot and secure the police station. The police source, who spoke with our correspondent, confirmed that the policeman was from Alapere Police Division but said his name had not been confirmed as at press time. Meanwhile, an okada rider was feared killed at Koola area of Apata, Ibadan West, Oyo State when a police Inspector allegedly hit his forehead with an object. There were conflicting reports on the incident. Earlier report indicated that the okada rider was beaten to death by the police officer who accosted him for violating traffic rule. Another report stated that the rider called Akebaje slumped after the policeman allegedly hit forehead with an object. Akebaje was said to have been hauled into a waiting police van and taken to Koola Police Station. Motorcyclists, who were informed of his ordeal, reportedly took to the streets in protest. The okada operator was alleged to have carried two passengers, an act that is against the new traffic law in state. On sighting the policeman, he asked one of the passengers to alight but was ordered to stop by the policeman. It was gathered that scores of youths later stormed the station and vandalised the building while the men on duty escaped. Sanity was, however, restored to the area when some policemen and men of the joint security patrol team arrived the scene. The Oyo State Police Command, however, denied that the okada rider died. Lanade said the motorcyclist fell down with the two passengers he carried. He added that the policemen ran to them to offer a helping hand but that the gesture was misconstrued by the okada rider’s colleagues who attacked the policemen. He said, “The cyclists used the incident to vent their anger on the police over the new regulation forbidding them from using unregistered motorcycles or carrying two passengers at a time. The PPRO said 28 suspects and 42 okada riders were arrested in connection with the incident.